What do I Know Now About Blogging that I Wish I Knew When I Started? Darren Rowse asked the question on what do we bloggers know now about blogging that we wish we knew when we started. Blogging is 50% about you, 50% about your readers. 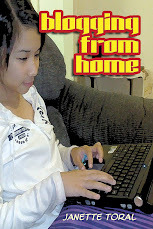 A blog that only talks about oneself can be boring as time goes by. It must be balance by organizing activities that focuses on your readers as well. I'm trying this experiement now in the Top 10 Emerging Influential Blogs in 2007 writing project and have gained new contacts that I haven't reached out before. Quality and meaningful links matter a lot. Although it is tempting to exchange links simply for the heck of it, I find that there must be a clear logic on why you are giving it. There is such a thing as a blogger's ego. Be wary on what you say and do to fellow bloggers. Especially to those whom you don't know personally. Blogs can generate sales leads and referrals too. Get out of your shell. Take the extra effort of getting to know new bloggers, no matter how established you are. Release date. I will announce this soon as we had some challenges in resolving some publishing concerns. The following who joined our "Get a Free Copy of Blog This: How Blogs Empower Every Internet User" will be getting their copies soon. Sorry for hiccup folks. I just confirmed my participation as a speaker in the forthcoming Internet and Mobile Marketing Summit to be held on August 9 to 10 at the Hotel Intercon. This event is being organized by the Internet and Mobile Marketing Association of the Philippines (see my IMMAP related posts). I will talk about "Blogs and Pod Casts as Interactive Tools – User-Generated Content Revolution" and will focus on how marketers can leverage this powerful, user-generated content revolution to build brands. We are currently witness to nothing less than a global marketing revolution. With more and more consumers globally embracing digital mediums such as the internet and mobile, brands are increasingly shifting their marketing investments to these new media channels. In the United States alone, various research groups estimate that anywhere from 8-10 % of total advertising spending is already being invested in digital mediums. The rest of the world, meanwhile, is fast catching up, as brands race to connect with the billions of digitally-tuned in consumers. On August 9-10, 2007, marketing history in the Philippines will mark a true milestone, as nothing less than the world's biggest titans in internet and mobile marketing visit our country for a first-ever Summit on Internet and Mobile Marketing. Learn powerful campaign strategie and techniques straight from the foremost international and local experts that will help your brand connect with the country's close to 40 million mobile phone users and 10 million internet users. Learn the secrets of the trade and craft your digital marketing campaigns, now! Managing Directors, CEOs, CRM Managers, Direct Marketing Managers, Database Managers, IT Managers, Brand Managers, Product Managers, Advertising Managers, Corporate Communication Managers, Marketing Managers, Media Managers, Content Providers and those involved in marketing/advertising using the internet and mobile. Registration Fee: P8,500.00 for 2 days inclusive of snacks, lunch, and conference kit. For a group of 5, One is free. RESERVE A SEAT, SIGN UP NOW! International best practices on internet marketing, from the perspective of global advertising network Euro RSCG, voted by Ad Age Daily as the "Advertising Agency of the Year" for 2006. Learn the Filipino consumer's overall behavior and attitude towards internet and mobile advertising through the most comprehensive consumer research ever conducted on internet and mobile advertising. Research focuses primarily on consumer attitudes towards internet and mobile advertising, ie, willingness to receive digital advertising, preferred types of digital advertising delivery, etc. 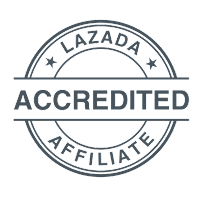 The Philippines is home to many successful, home-grown internet marketing campaigns that have significantly built the business of numerous brands in the country. Learn best practices and approaches in internet marketing from local experts who will share some of the country's best internet marketing campaigns launched. Learn how digital marketing mediums such as the internet and the mobile phone help enhance customers' experiences with the brand, and thus help build brand equity and long-term customer loyalty. The phenomenon of blogs and pod casts spread over the world wide web, how can marketers leverage on this powerful new consumer interaction point. Speaker: Janette Toral, CEO, Digital Filipino, Inc. The Philippines, the undisputed SMS capital of the world, is home to some of the world's most successful mobile marketing campaigns. Learn best practices and approaches in internet marketing from local industry experts who will share some of the country's best mobile campaigns. Speaker: Arthur Policarpio, CEO, Global Wireless Connections, Inc.
International Best Practices and Future Trends in Internet Advertising (4:30-5:15pm) Learn international approaches in internet advertising from one of the industry's global pioneers and titans. Learn tips of the trade, secrets and techniques from the most successful internet marketing company in the world. Learn powerful, breakthrough new approaches and techniques in mobile and internet marketing. Speaker: Nix Nolledo, CEO, Xurpass, Inc. Truly effective marketing campaigns leverage the power of both traditional and non-traditional mediums. Learn global approaches and best practices in successfully integrating internet and mobile with traditional media channels, for a truly effective marketing campaign. The booming global gaming industry offers significant opportunities for marketers to promote their products to consumers via a new, highly-interactive and engaging digital channel. Learn how to tap this medium from international experts in the field. The next generation in successful digital media planning involves the fundamental shift from "buying time" to getting consumers to spend time with the brand. How do we advertise our brands to the close to 40 million mobile phone users in the Philippines? Learn consumer best practices and powerful new marketing techniques that will help your brand connect with the country's mobile users. Speaker: Ferdinand de la Cruz, Head, Wireless Business Group, Globe Telecom Inc.
Conference keynote international speakers, together with some local speakers, to summarize views and learnings for the Conference, with Q&A from the audience. Registration Fee: P8,500.00 for 2 days attendance, inclusive of meals and conference kit. Please make the check payable to: Fiera de Manila, Inc.
For more details, please call: +632-8960639, 8960637, 8996216, fax: +632-8960637, 8902101, email: fiera@info.com.ph, visit web site.